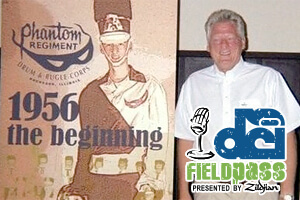 The 2011 Drum Corps International Tour begins 45 days from today and it's time to get ready as DCI's Dan Potter returns for another season of the Field Pass presented by Zildjian. As has become Field Pass tradition, we start the new season with a look back at some of the individuals who have helped shape the modern-day drum corps we'll see on the field this summer. First up in a series of interviews with the recently announced DCI Hall of Fame Class of 2011, Phantom Regiment's Dr. Dan Richardson.